Global economic, currency and market turmoil are creating wonderful opportunities now. Whether you are an investor, business person or just looking for a lifestyle change…what is happening now could be good for you…if you see it in the positive way…and adjust accordingly. The Friday, December 4, 2009 USA Today headline was Employers cut 533,000 jobs in Nov., most since 1974. This article by Barbara Hagenbaugh said: Employers slashed jobs at the swiftest pace in 34 years in November, leading the unemployment rate to rise to 6.7% from 6.5% in October and the highest in 15 years, the government said Friday. The report points to a rapidly deepening recession. The unemployment rate was held down as discouraged workers dropped out of the job pool. This can lead to a lifestyle opportunity…for several reasons. See how and why astrology is one of many ways I process information at Beyond Logic. My astrologer asked for feedback on how this came to light because he had never seen this before. What this meant was puzzling to him. Now I can see how this position has been growing all through last year…as markets collapsed…as the portfolios we create and track crashed..as the world’s material mindset began to crumble. I have felt a growing sense that everything is in perfect order…correct…and whatever comes we’ll (Merri, me and you, my readers) not only do well….but will prosper greatly. While many feel fear, I feel excitement and anticipation. What a chance to examine new ways of living, business and investing! Of course, part of me has questions, “Can this all be right? Will markets collapse?” etc. etc. But in my heart there really is no fear. I work at keeping it that way as well. I stay away from the popular press headlines for example. I do not watch TV (we don’t have it here in NC or in Ecuador) or get caught up in the daily news. So public-health experts are beginning to wonder whether certain health-related behaviors are just as contagious as microbes. If you’re struggling with your weight, did you in effect catch a case of fat by learning poor eating and exercise habits from a friend or family member who was similarly infected by someone else? If you smoke, do you light up because you were behaviorally contaminated by smokers who convinced you of the coolness of the habit? Even more important, if such unhealthy behaviors are contagious, are healthy ones–like quitting smoking or exercising–equally so? And what if not only behaviors but also moods and mental states work the same way? Can you catch a case of happy? Increasingly, the answer seems to be yes. That’s the intriguing conclusion from a body of work by Harvard social scientist Dr. Nicholas Christakis and his political-science colleague James Fowler at the University of California at San Diego. The pair created a sensation with their announcement earlier this month of a 20-year study showing that emotions can pass among a network of people up to three degrees of separation away, so your joy may, to a larger extent than you realize, be determined by how cheerful your friends’ friends’ friends are, even if some of the people in this chain are total strangers to you. This is what I do…just shut the negatives off. If a happy friend of a friend’s friend can help you be happy…so too can fear in a distant acquaintance help you be afraid. I focus instead on the positive side of the changes in man’s mindset that this downturn can bring..about having stuff…using natural resources…being more with friends and family…leading a simpler life. These are changes humanity must make. Economics are usually the fastest guide. How can we complain, if one of our greatest tasks in life is to stop using so much plastic and the economic slowdown stops us from buying as much junk? How can we complain, when one of our greatest tasks is to reduce our carbon output when the economic slowdown stops us from driving so much? How can we complain when when one of our greatest tasks in life is to rid ourselves on the dependence on fossil fuels when the economic slowdown enhances innovations for alternate energy? We’ll see how this unfolds…but I have always seen myself as an investor and business person on the leading edge…writing about what Merri and I are actually doing…rather than theories. We are always starting some new venture and venture capitalists see opportunity in recession. An excerpt from a recent article in USA Today about venture investors by Edward Iwata, says: Ever the glowing optimists, venture capitalists here vowed this week that a backlog of healthy young companies — with $100 million-plus in annual revenue and growing — are poised to lift the economy and stock market next year when they get acquired or go public. “Ignore the gloomy forecasts”, says Tim Draper, founder of the Draper Fisher Jurvetson venture firm in Silicon Valley. “Many successful start-ups were born or grew quickly during downturns. That includes Microsoft, Hewlett-Packard, Google, eBay and Fairchild Semiconductor, which launched the technology revolution in the 1950s. Draper and others even predict that new products and companies in clean technology, medical devices, wireless technology and other sectors will usher in a new economic era. Some economists forecast that the U.S. economy won’t bounce back for several quarters. But that didn’t deter several hundred leading venture capitalists and entrepreneurs from spreading economic cheer at the Always On Venture Summit Silicon Valley at the Ritz-Carlton hotel here. Jeff Matthews, general partner at the RAM Partners hedge fund, said the current downturn is “absolutely the worst I’ve ever seen since the mid-1970s.” The upside? Wise investors will follow the example of legendary investor Warren Buffett, who bought all of the stocks he could afford in that recession 30 years ago. So Merri and I invite you to join us, with other venture and value investors like Warren Buffet, on the positive side of this downturn. The lifestyle opportunity could be a once in a lifetime deal! See a lesson in lifestyle opportunities at Ecuador Holiday Roses. America Leads the way…sadly often in the wrong direction. Though my name is Scott, I like so many Americans am also Irish, thanks to my Grandma McGee. In fact though she lived in Oregon for more than sixty years, she never became a US citizen. Yet I have done nothing about this and remain only a US citizen…nor do I intend to. First, it’s a lot of work registering that Irish citizenship…getting all the documents together and such. Yet there are other reasons…we’ll see in a moment. In a recent discussion with a friend, who was also a dual national, I learned that he gave up his American citizenship. His reasons were good but for many this does not make sense. The second reason I remain in the US…this is one of the countries I know my way around best. I have friends and family and a terrific support system developed here. The number one rule for good investing and business is to do what you love. Rule #2 is to do or invest in what you know. I love the US, this magnificent country and the wonderful people so the US is a good place for me to be. Too few people who leave the US think of this personal aspect. They become so caught up in high taxation or the bad parts of this nation’s evolution and want to leave. I do not blame them but recommend that they are sure they know where they are going before they irrevocably leave the US. While recently visiting friends in Seattle, I was talking with their cleaning lady and her daughter from the Czech Republic. They told me how they had moved to America to be in the land of the free and to live the American dream. Now they are going back for better opportunity in Eastern Europe. Plus they feel they will have more freedom there. For the Czech couple, this may make sense. They know the Czech Republic and have more friends, family and support back in their original home. This is a pretty bad commentary on America where opportunity used to be so good that to was worth giving up the old for the new. Now maybe it’s not. So many freedoms have been lost in America. So many new regulations have been been born. Life is now so complicated. America is burdened with an overworked tort system, a failing health and insurance system and monumental federal debt that has and continues to destroy the dollar. Many Americans feel stifled. Many fear things will get even worse. There can be tax benefits to moving abroad (though new tax laws tax those who leave and any gifts they give to Americans before they leave). It is certainly easier to open a bank account abroad if you are not a US citizen, plus if one has immigrated, a citizenship elsewhere can make life in one’s new country easier and better as well. Plus I know from living abroad for decades how one feels out from under the eye “Big Brother”, once you live in another country. Despite these facts, (this may seem strange for me, as one of the first proponents of being a one man multi national), I have no plans to abandon my US citizenship….nor my residence in the US. This is a well informed choice. I have lived for many years in Asia, Europe and Latin America as well as the US….so my choice is based on experience. This global lifestyle has confirmed one important fact….every country has its great good points and its flaws. If I know and like the US, have children and grandchildren here…why move? Why spend the time and resources to make a switch? I see nothing wrong with changing citizenships, especially for those who earn and live abroad, but except in certain cases, I wonder if the benefits are worth the effort? Instead I devote my efforts to maintaining flexibility and utilizing options. To me flexibility in earning and asset allocation are more important than citizenship because change is taking place everywhere. I would rather be a US citizen and have one or two other places to go if everything goes south here, than abandon one of the places I know best, for somewhere new that could have negative changes as well. America has problems but regrettably as the world’s biggest economy leads the way for other nations to follow. Take federal deficit spending as an example. For many years it was easy to invest out of the US dollar. The American government was a spendthrift going deeper and deeper into a more of debt. Other industrial, nations, especially Germany and Japan were much more fiscally prudent. The the Japanese and German’s learned from the US how to borrow massively every time the economy slowed. There is a great erosion of freedom in other countries also not just the US. “A federal judge in Miami authorized the Internal Revenue Service to request information from UBS about U.S. taxpayers who may be using Swiss bank accounts to evade federal income taxes,” the Justice Department said Tuesday. To me this is a horrible breach of law. How can UBS know if a taxpayer has their account hidden from the IRS? Yet the US is not alone. Take the UK as an example. 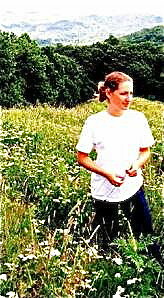 I love England was resident there for a decade in this nation and was resident there for many years…but the wonderful freedoms of the Common Law have been eroding just ike in the US. “Police have seized a potential £1 billion ‘treasure trove’ of cash, drugs and guns in an unprecedented raid on concrete vaults holding 7,000 safety deposit boxes. In both cases, innocent parties who have done nothing illegal nor even irregular are going to be inconvenienced at the least. Plus the site warns more losses of freedom. There is a government site that says this law will not create these problems but one wonders. When income tax was first introduced in the US, it was promised it would never rise beyond 2%! “A French court on Monday ordered the online auction giant eBay to pay 38.6 million euros, or $61 million, in damages to the French luxury goods company LVMH, in the latest round in a long-running legal battle over the sale of counterfeit goods on the Internet. “LVMH, a maker of high-end leather goods, perfumes and other fashion and luxury products, successfully challenged eBay for a second time in the French court, arguing that 90 percent of the Louis Vuitton bags and Dior perfumes sold on eBay are fakes. Change is everywhere. We should always look for a balance in our living, earning and investing, that fits our lifestyle and circumstances. We should seek flexibility and options…but remember that problems are everywhere. Thank God for problems. Problems are a sign of evolution and problems create opportunity. Who wants to live in a land without opportunity? The problems we see from eroding freedoms are not dilemmas unique to the USA. They are problems of increased populations all trying to do and have more. Life seems more complicated today because it is more complicated in some ways. Wherever you live…work…earn look for the problems and figure out the opportunity. If part of that opportunity comes in the form of a new residence or citizenship…that’s great. Go for it…yet realize that this is not the best solution for everyone. Until next message, may all your freedom come from within and all your problems be good. Learn ways to increase your earnings options though international business. Join us on the farm. 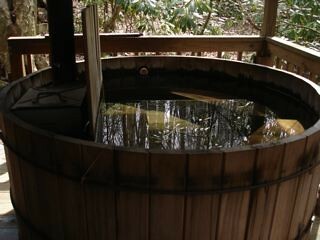 Enjoy our deep woods hot tub. 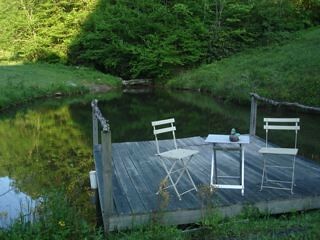 Join us and stay at our farm for Susan Rotman’s business intuition course. Enjoy the mountain cool and summer views as you learn. Or Join our Ecuador Import Export Tour this October.